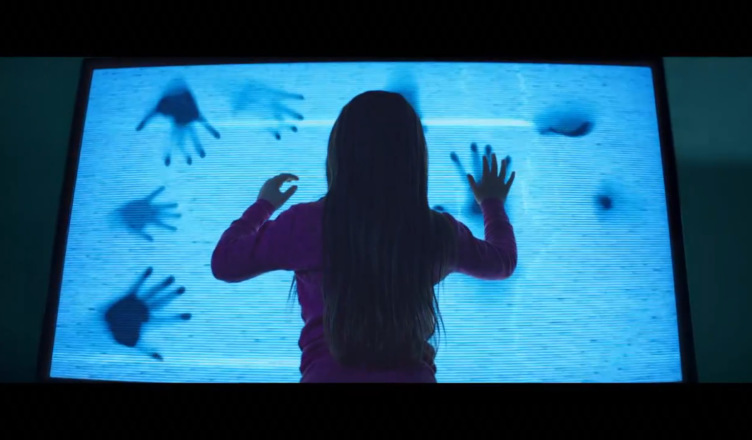 So I know as a critic you’re not supposed to root against a movie, but for the first half hour of the new Poltergeist remake I was worried. You see, I’m not the world’s biggest Poltergeist fan. I’m talking about the original, nigh-unassailable classic from every family’s favorite filmmaker Steven Spielberg and every family’s least-favorite filmmaker (at least at the time), Texas Chainsaw Massacre’s Tobe Hooper. I mean it’s okay. 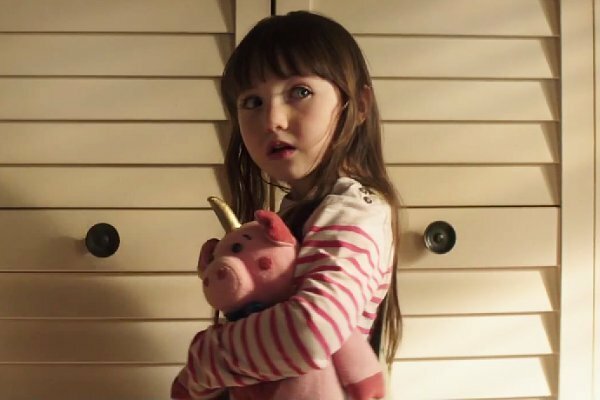 I’ve had friends shake their heads in shame as I try arguing that horror can simply be subjective, and the film just doesn’t get under my skin. I recognize the charm in the relatable family drama and iconically bizarre fantasy, and suppose it’s also worth noting the PG rating allowed everyone in the family to get scared like a cinematic amusement park ride. Not loving a modest classic is one thing. Realizing you might actually like the generic remake better—now that’s terrifying. And with every amusing quip from Sam Rockwell (taking that mantle from Craig T. Nelson), every sweet-if-predictable interaction between the home fill family, every exaggerated sweep of the camera and campy visual flourish, I could hear the torches and pitchforks clanging in the distance. I was laughing. I was smiling. I flinched a bit during one of the shock scares. This overly-polished, aggressively sweet ensemble was winning me over better than its more unique and imaginative predecessor. The same problem applies to the rest of the Bowen family. When they’re merely a harried mother with a couple adorable moppets and a smart-mouthed teenager, the script has a lot of fun. Amy (Rosemarie DeWitt) wonders if her son Griffin (Kyle Catlett) needs counseling because she left him in the mall two years ago. Six year old Madison (Kennedi Clements, who I swear was genetically designed by Pixar) gleefully mimics the swear words from her older teenage sister Kendra (Saxon Sharbino). Once the ghosts move in these personas break down, and David Lindsay-Abaire’s script has no idea what to do with them. Mostly it just throws more debris in their general direction. Over time POLTERGE-15-T feels more like a pop-infused cover version than a straight-up remake. At first the updates are snappy and pleasant, but they lose all their charm when you realize they just don’t work for the source material. The filmmakers seem to have pored over the original, determining what “worked” and “what didn’t,” and then made their film accordingly. The things that worked—the amusing family banter, the quirky paranormal researchers, the social commentary on television and corporate cynicism—all remain with minor tweaks. The old-fashioned hour-long setup (which I’ll admit left me a little impatient), the lengthy explanations of otherworldly beings, and the more pragmatic family dynamics are dispatched. Obviously it makes no sense to send the kids to their grandparents just because their lives are in mortal danger. Great effort has also been put into finding ways to shorten or condense key moments from the first film. The big reveal of what happened when the city moved the cemetery is tossed aside in a single line. The stellar “first contact” scene where the whole family slides across the kitchen floor gets reduced to two meaningless shots involving excessive hair static. It’s shorter and more efficient, but it doesn’t accomplish anything the original scene did, even though the filmmakers seem to want to use it that way. In theory I don’t disagree Spielberg and Hooper’s film could stand to lose a few pounds, but with this adaptation in mind I have a greater appreciation for what they actually accomplished. There’s an incredibly difficult moment that’s absolutely necessary to any version of this story: a family discovers their daughter has been kidnapped by ghosts, and they immediately accept this as truth. It stretches the limits of credibility, and it’s also the point of the whole film. One minute they’re worried about jobs and fitting in. The next minute their child is in danger, and they don’t care about anything else. 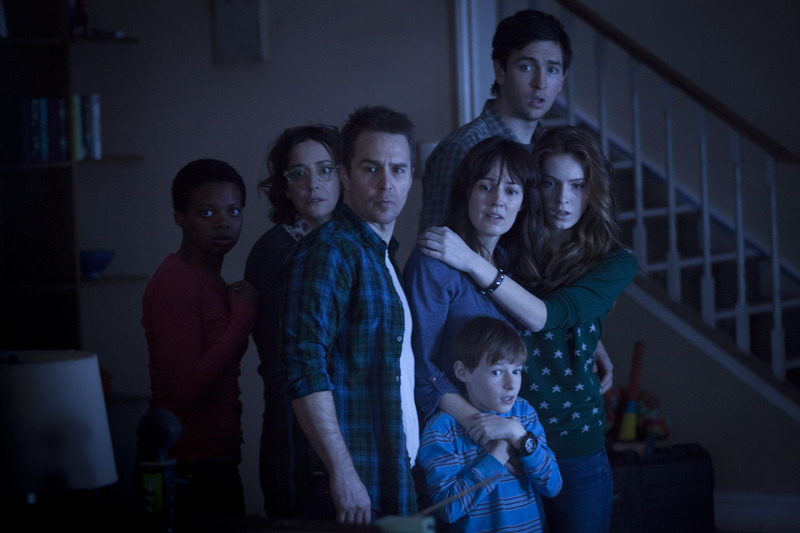 It’s not enough to pit a likable family against an evil gaggle of ghosts. It’s not enough to merely namecheck all the different kinds of videos and media influences kids are ingesting, or to pan over a suburban neighborhood in all its blatant conformity. You can hit all those same notes, but that doesn’t make it a song. Spielberg’s Freelings were a real family with their own concerns who said delightfully specific and strange things to each other, like everyone who has ever lived together for years on end. Director Gil Kenan’s Bowens are just trying to keep up with the Freelings. When the Freelings heard their daughter’s voice come from the TV, their faces said it all. When the Bowens look at the TV, they could just as easily be watching an especially tense episode of Scandal. From that pivotal moment onward, this remake goes so far off the rails it’s hardly worth mentioning. There is now a scene inside the closet portal in all its CGI, otherworldly glory. This will please everyone who felt like Jaws would have been better if it showed more of the shark. Also I like Jared Harris as an actor, but he’s out of his depth filling the iconic role of Zelda Rubinstein’s Tangina. When he appears early on in a campy TV ghost hunters show, I hoped the movie would have some fun with his character. That “fun” ended up involving a romantic subplot and a weird Christ figure twist. I can’t think of a good comparison for someone who thinks Tangina needed more character development. That kind of speaks for itself. At least this way I can appreciate the original impulse. Spielberg and Hooper’s version also just moved to the top of my Netflix queue for a much-needed rewatch. That’s probably the principle virtue of most horror remakes these last few years. They’ve made me appreciate their predecessors a whole lot more.